Welcome to the best American riding you’ve never heard of. The snarky, ironic hashtagged refrain from its denizens even reads “#LAsucksforcycling”. Indeed, it’s an untruth. Alternative fact. A lie. 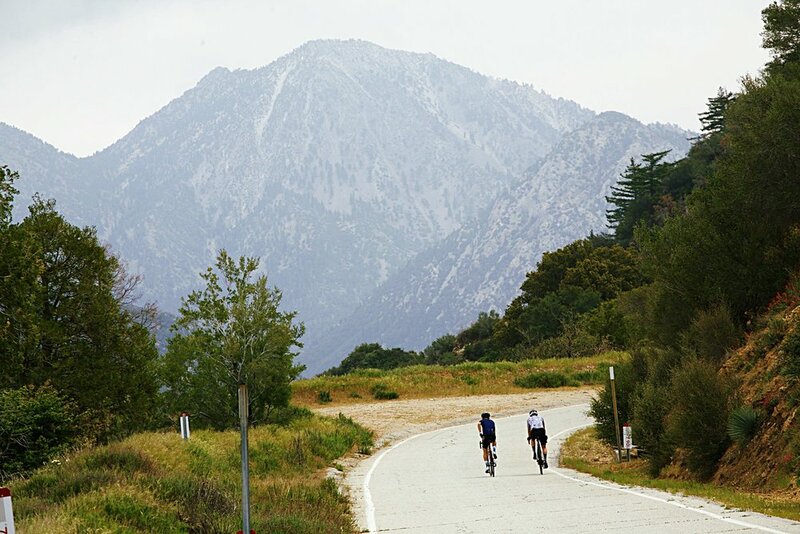 The Los Angeles basin, and points southwest, is one of the most accessible, stunning, and challenging cycling hotbeds in the country. While its diverse population stews in the broth at the bottom of the bowl, RAID’s Southern California skirts the rims, visiting jaw-dropping climbs from the coast to the famed Mulholland Highway, crests the towering San Gabriels, and exploring the untamed corners of the megalopolis. Mated to its unknown riding, this departure visits cultural and culinary diamonds in the rough, true gems most wouldn’t ever associate with the beaches-and-traffic reputation of LA. This fall, we’ll explore the truth behind the myth of Southern California. Today we start along the famed Pacific Coast Highway 1, before climbing into the Santa Monica Mountains. We take in remarkable ocean views and have the chance to cycle many of the well-known cycling routes visited by many European pro teams for winter and spring training. We crest the mountains and descend into the San Fernando Valley, making our way past Studio City, the Hollywood Hills and through Griffith Park, before skirting around Burbank on our way towards our final climb of the day, Big Tujunga Canyon Road, in the Angeles National Forest. There isn’t an American pro cyclist that hasn’t trained on these roads. The famed Montrose Bike Ride passes each week through Pasadena and along the Rose Bowl. Our ride starts out casually, as we head east towards Glendora before we attack Mount Baldy. We depart early this morning, before the heat of the day, making our way back into the Angeles National Forest past the San Gabriel reservoir. We climb steadily for 25 miles before summiting the heavily forested mountain range high above the valley. We pass through the mountain village of Wrightwood, before our descent of Lone Pine Canyon Road at the summit of Cajon Pass. Cajon Pass marks the dividing point between the Mojave Desert and the Greater San Bernardino Area. We climb gradually, stopping just shy of Big Bear, along the shores of Lake Arrowhead. We leave the shores of Lake Arrowhead for the higher shores of Big Bear Lake. Surrounded by the San Bernardino Mountains, Big Bear Lake sits at nearly 7,000ft and is exactly 100 miles from Los Angeles. Snow is common at this time of year so we will be prepared for cool weather. We then summit Onyx Pass, at 8,440ft, before descending into the San Gorgonio Pass. A gap on the rim of the Great Basin desert between the San Bernardino Mountains and the San Jacinto Mountains, it was created by the San Andreas Fault and is one of the deepest mountain passes in the US. From Banning, we begin our 30-mile approach to Idyllwild, along the Panoramic Highway. We leave the San Jacinto Mountains and the Strawberry Valley, heading towards the warm desert along the Pines-to-Palms Scenic Byway. We veer north towards the small town of Hemet and pass through fragrant orange orchards. We will stop for lunch at the Shadow Mountain Winery for a needed break. Our last push up the Banner Grade brings us into our destination for the next 2 nights, Julian. We gently climb out of Julian on the Sunrise Hwy, we then take a side trip up the remote Pine Canyon as we pass Lake Cuyamaca. We pass through downtown and through the iconic hillside mansion community overlooking old town. We swing back through Julian before riding through Mesa Grande enroute to Mt Palomar. We then summit Mt Palomar, often compared to the great Alpe d’Huez. Palomar has 21 switchbacks and is similar in elevation, gaining 4,325ft in just over 12.5 miles, at an average of 6.5%. Then descend a different way off the mountain towards Lake Henshaw before our return to Julian via the apple orchards above Wynola.